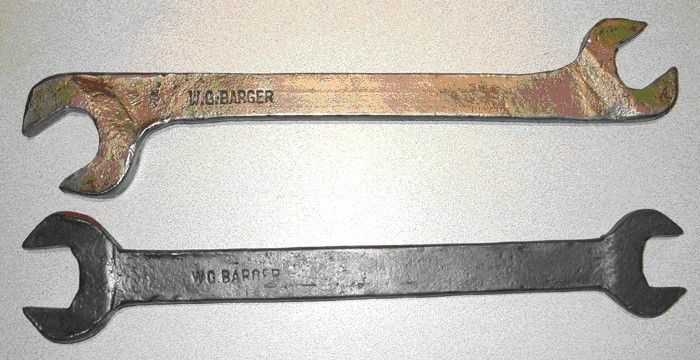 Forged End Spanner marked "W G Barger Melbourne "
Forged End Spanner marked "W Barger Melbourne "
Catalogue page - Barger's Patent Lucerne Cultivator Weeder"
Picture of William Gabriel Barger, c 1909, extracted from a family photo, © Karen Reynolds. First references I could find were in 19 Oct, 1882, North-Western Agricultural Society's Show, Jenkins & Barger of Bridgewater won a prize for Set Heavy Harrows. Next mentioned in 1883 for a prize at the fourth annual Boort Agricultural Show for Heavy Drag Harrows. Further mentions in 1884, 1888, prizes and advertising. Then in 1892, (the dreaded skeleton falls out of the closet) WGB of Jenkins and Barger is arrested for forgery. I have not bee able to find the result of said charges, ref's from NLA's digitised Argus Newspaper. 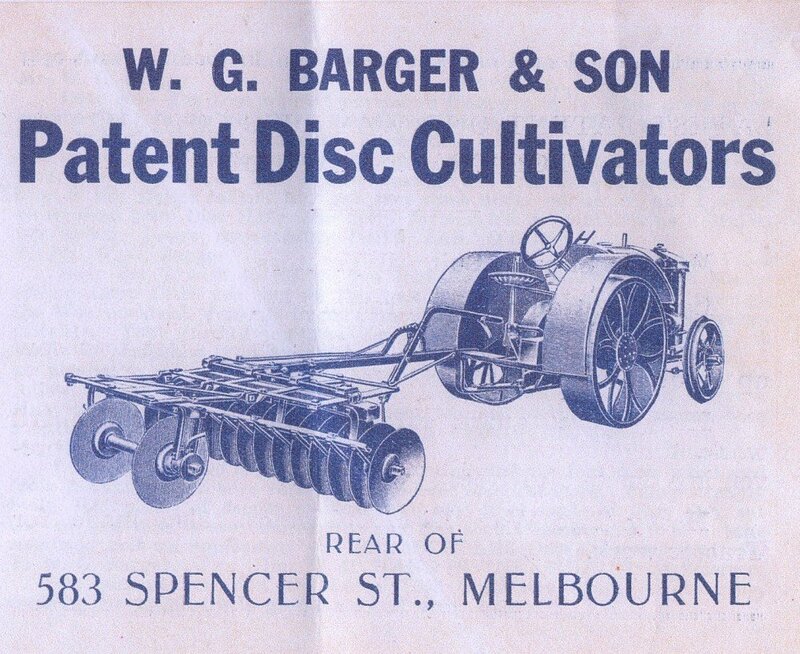 By 1903 we see W G Barger advertising ploughs and cultivators in his own right, and in 1905 similar advertising states he is at 231-239 Franklin St, Melbourne. 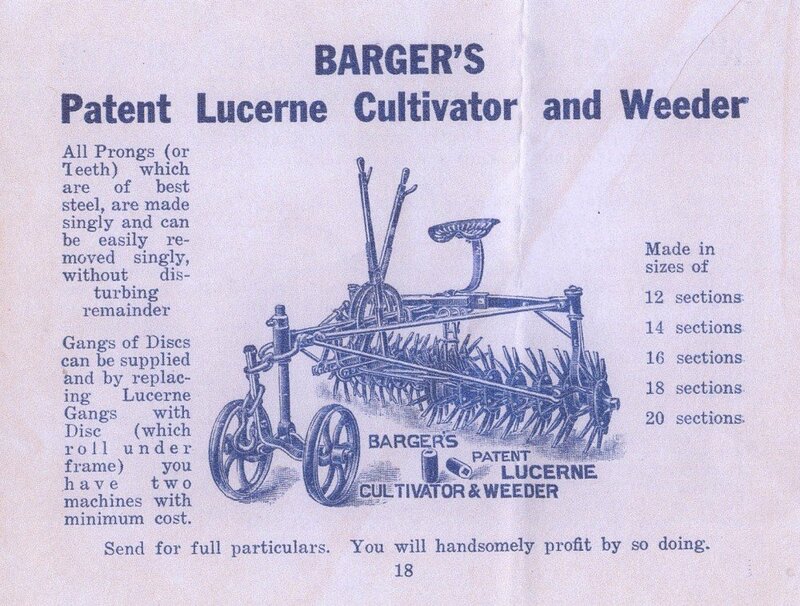 In 1910 we find a report of a very successful trial of the Barger Patent Lucerne Teaser in Shepparton. ref Camperdown Chronicle Newspaper digital copy NLA. WGB had a foundry and implement works in Melbourne (rear of Spencer St in one catalogue). There are some catalogue listings below of his tilliage implements. 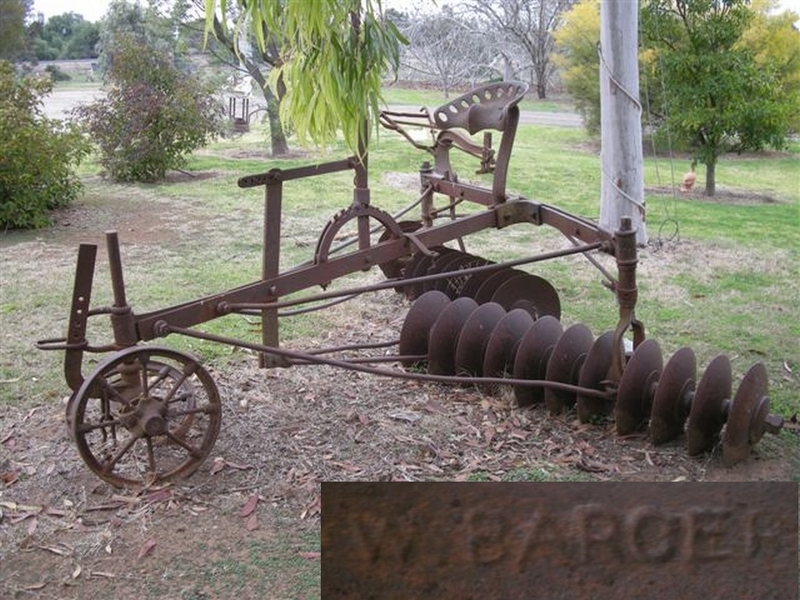 I have found a provisional patent application and specifications dated 1899 (Tasmania): "Specifications for registration of patent by William Gabriel Barger titled - An improvement in disc cultivators". 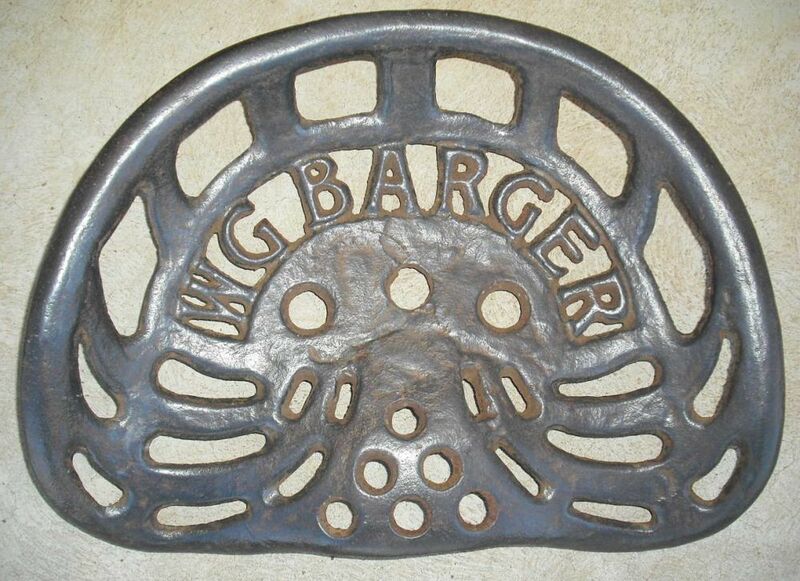 The application states that Barger is an Ironfounder and Agricultural Implement Maker. He must have been a prolific inventor as the National Library of Australia has no fewer then 45 Patent Applications from him over the years from 1894 to 1904, all to do with improvements to Agricultural Implements and Machinery. Some people credit WGB with the invention of the stump jump plough - contrary to the history books. The depression took a heavy toll on the business, WGB sold his patents to McKay Massey Harris and the company of WGB & Son (Clarence) was wound up in 1931/32. WGB died in 1931aged 71, in Murrumbeena or Cheltenham, and is buried in Cheltenham Cemetery. There is another W G Barger who enlisted in the AIF in July 1915 aged 30, married to Elsie, residing in Bendigo. William was killed in action in July 1916 at Fromelles, France. 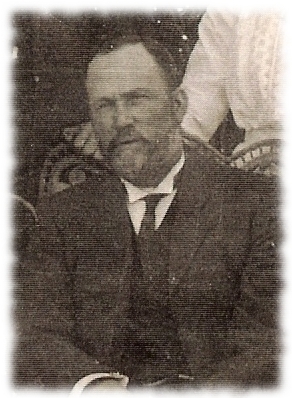 This William Gabriel Barger was the son of WGB's brother Harry. I have found Barger listed in S & M Directories up to 1926. References: 1. Contact from decendants of WGB - John Olsen, Graeme W Wilson, Mr Rogers(via Mrs Jo Rogers) and Karen Reynolds. Thanks to these people who provided insight into the family line, and may provide further information in the future. Thanks to John Olsen for providing the catalogue material at the bottom of this page. For people who are interested in sailing - there is an account of the Kelynak voyage to Australia in a 36 foot vessel in 1855 on the website of Pete Goss, and English adventurer, who is building a replica of the vessel, and plans to recreate the voyage and arrive in Australia in yr 2009 - www.petegoss.com - worth a look. Spanners marked Barger are predominately blacksmith made, heavy and probably supplied with ploughs. Please make contact if you have anyfurther information or images to add. W. Barger Melbourne "S" shaped Forged Plow Spanner, about 21 in long. 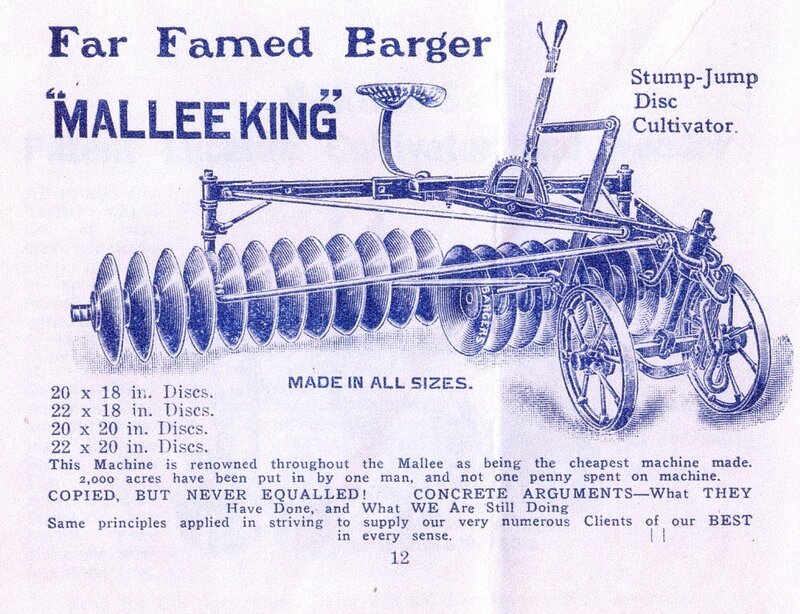 Cast Iron Spanner marked "Barger Melbourne"
Catalogue page - "W G Barger & Son Patent Disc Cultivators (courtesy John Olsen)"
Catalogue page - "Barger's Patent Lucerne Cultivator & Weeder (courtesy John Olsen)"
Catalogue page - "Far Famed Barger Mallee King Stump-Jump Disc Cultivator (courtesy John Olsen) "